Western Digital's new My Book Studio XL external desk hard drives are a perfect match for you Mac, in appearance of course. 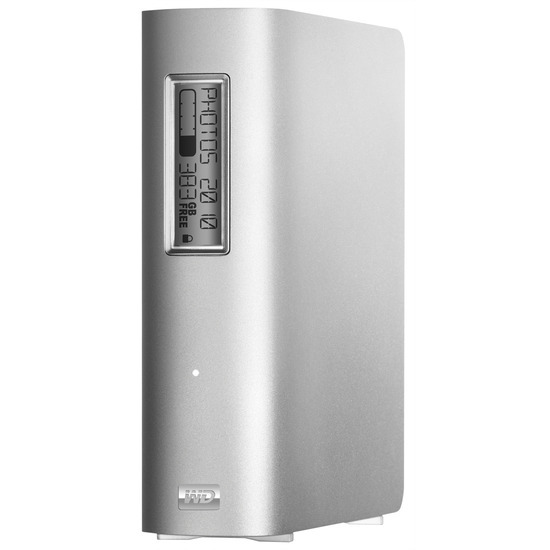 This desktop drive is made out of an anodized aluminum enclosure and even has a small white LED indicator as well as a small e-label screen that lets you see what types of files you are storing and how much space they are taking up and how much space you have left. You can also view those stats even when the drive is not plugged into a power source. It comes with a firewire 800 interface as well as USB 2.0. The WD My Book Studio XL drives are fully compatible with OS X and come in 1TB and 2TB capacities. You can pick them up right now for $199.99 and279.99 for 1TB and 2TB models.